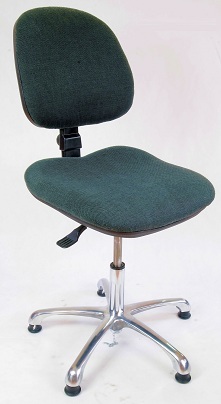 Unique ESD Chairs on soft, no-marking ESD metal wheels with durable rubber tires. Our ESD chairs are very unique. 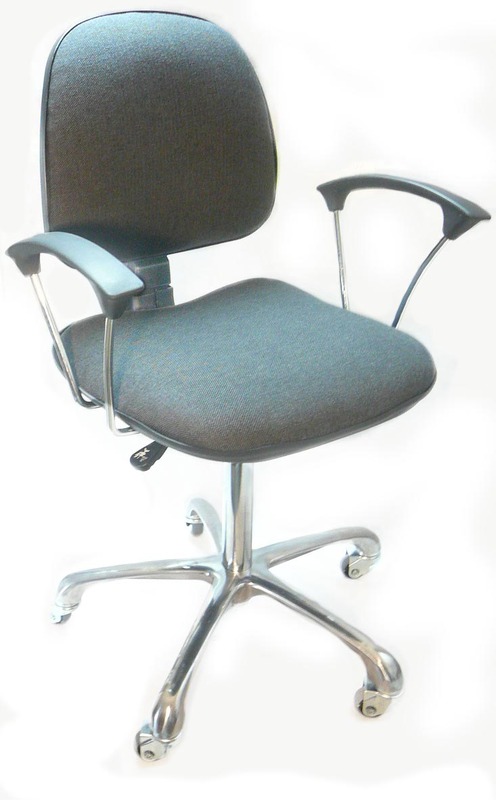 Most of suppliers concentrate on variety of styles and options for ESD chairs. All of them neglect the fact that the chairs should move smoothly on hard surfaces. When moving under heavy load (180 Ib or more), the chairs leave marks on the floor and often damage ESD floors. Small plastic wheels, when rolling on dusty floors will lose ESD properties and jam. 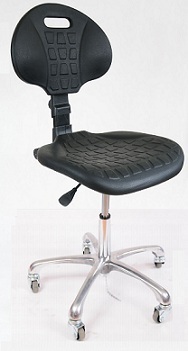 Bokar International supplies the chairs on ESD soft rubber wheels. The wheels were developed specially for the chairs to guarantee discharge of static electricity to the floor, to run smoothly without leaving marks on the floor and to be soft enough not to scratch or otherwise damage the expensive ESD floors. For lovers of traditional chair wheels, we offer the option “p” chairs (short for plastic) which are on traditional plastic ESD wheels. These chairs are priced lower because plastic wheels are less expensive. 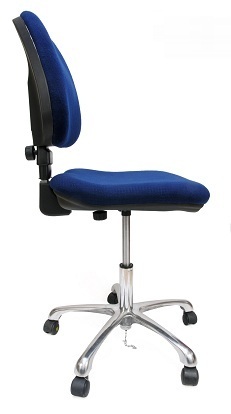 Legend: Series 1 = ESD vinyl chairs; Series 20 = woven ESD chairs; Series 5 = Molded Polyurethane ESD Chairs. 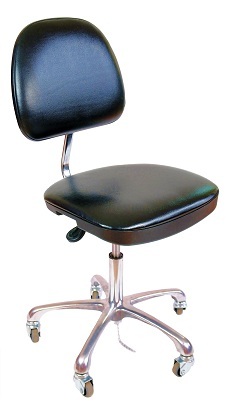 ACH-1=ESD vinyl chair on metal wheels with no marking, soft ESD rubber tires. 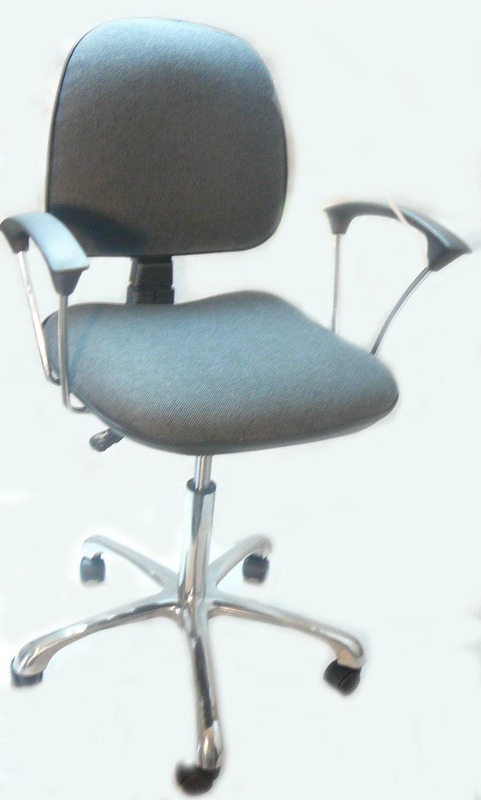 ESD woven chair, charcoal on no marking antistatic feet. ESD woven chair, with arm rests, charcoal. on metal wheels with no marking, soft ESD rubber tires. 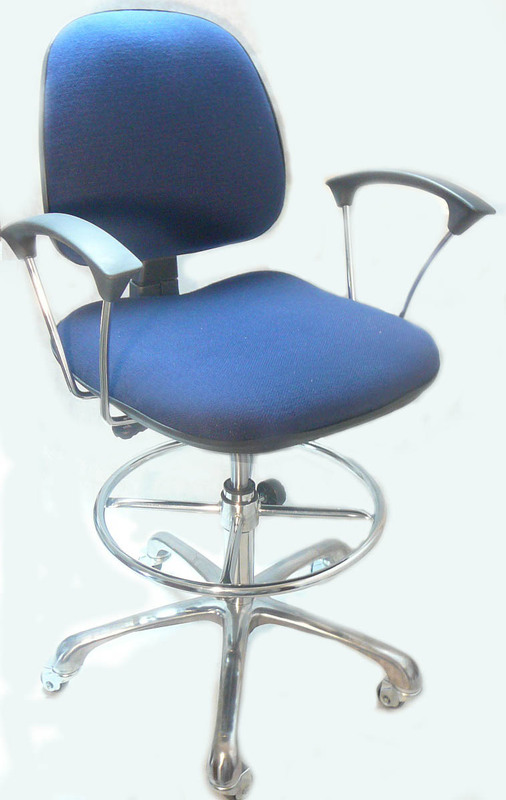 ESD woven chair, blue, on plastic wheels. 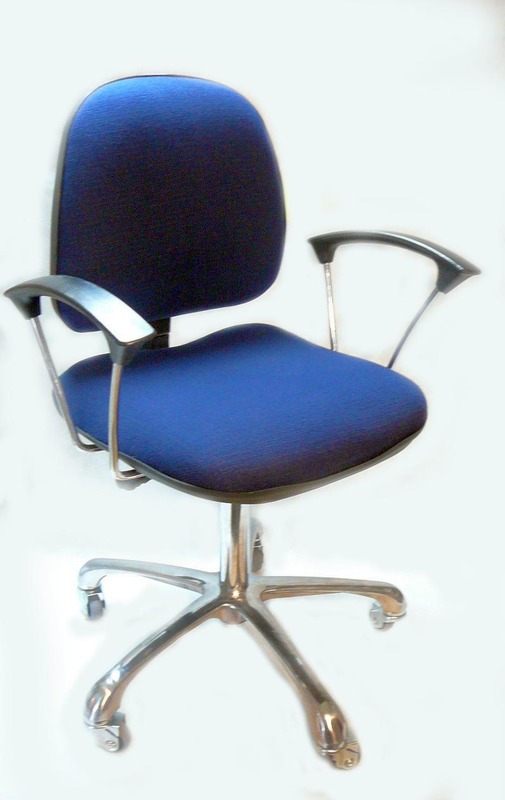 ESD woven chair, blue with arm rests. 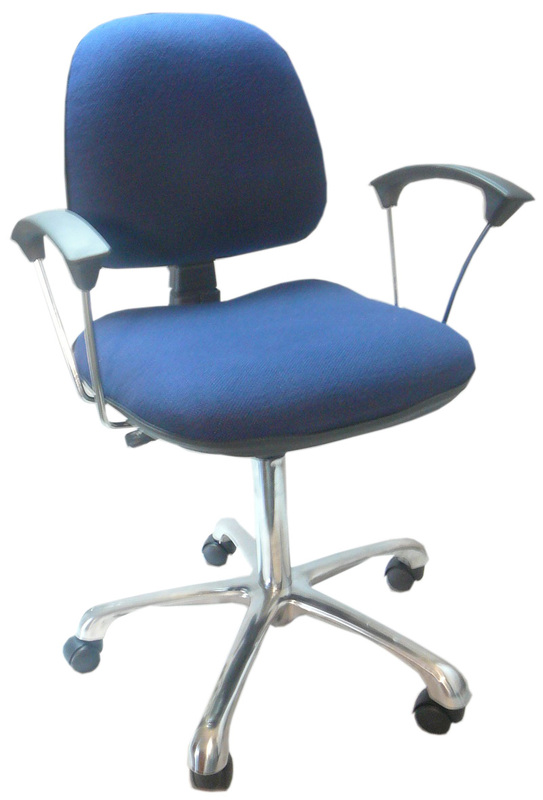 ESD woven chair, blue with arm rests on on antistatic, no marking glides. 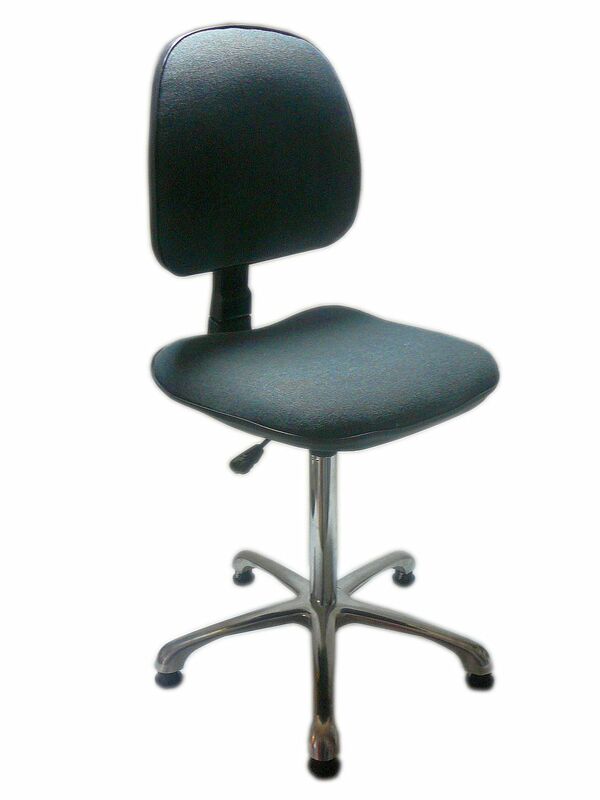 ESD Hi-Tech Molded Chair, black. with no marking, soft ESD rubber tires. 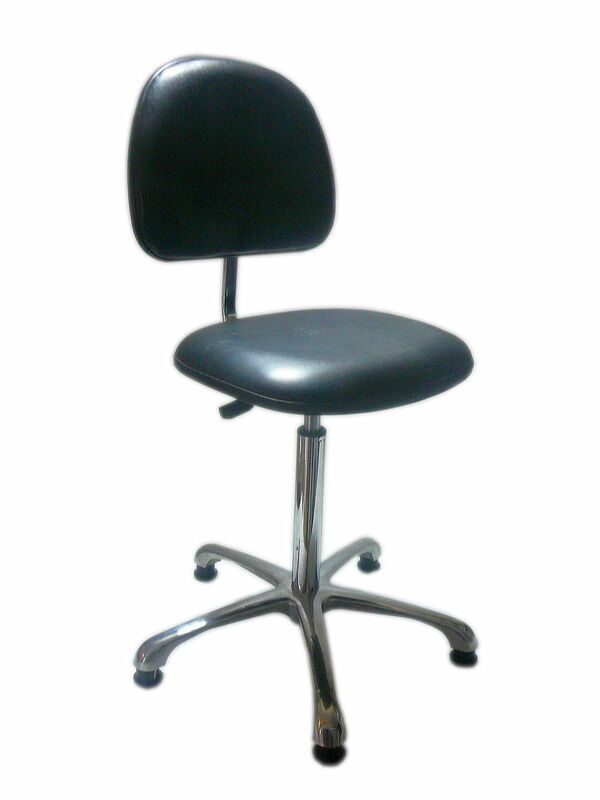 Antistatic, soft vinyl chair, black, dust-free, suitable for cleanroom. 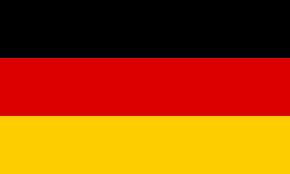 Surface resistance: <10e5? / Sq. 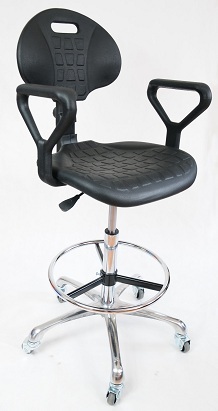 ESD Safe Hi-Tech Molded Chair, black with arm rests and foot rests.on metal wheels with no marking, soft ESD rubber tires. 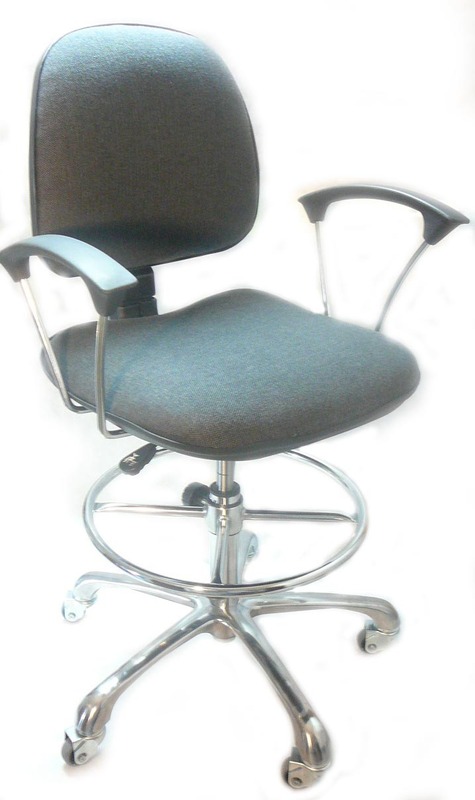 Chair equipped with a higher pneumatic lift than other variants and antistatic legs. Surface resistance 10e7-10e8 ohms per square. Antystatyczne, miękkie krzesło vinylowe, czarne, niepylące, odpowiednie do cleanroom. Zgodność z normą EN 61340-5-1.